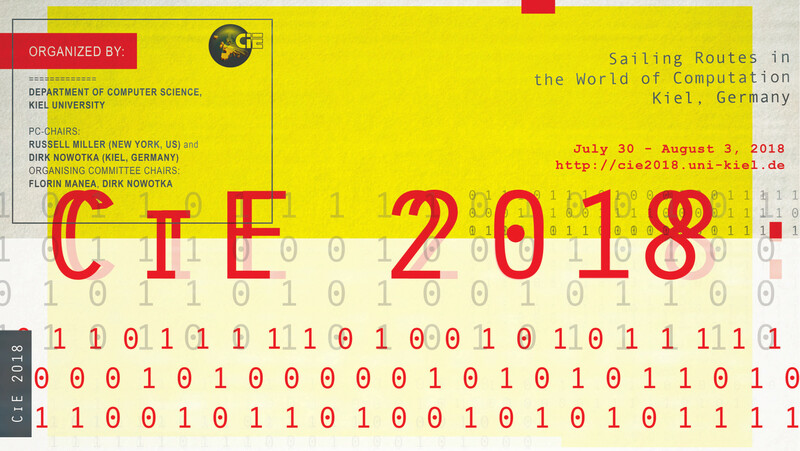 CiE 2018 is the fourteenth conference organized by CiE (Computability in Europe), a European association of mathematicians, logicians, computer scientists, philosophers, physicists and others interested in new developments in computability and their underlying significance for the real world. 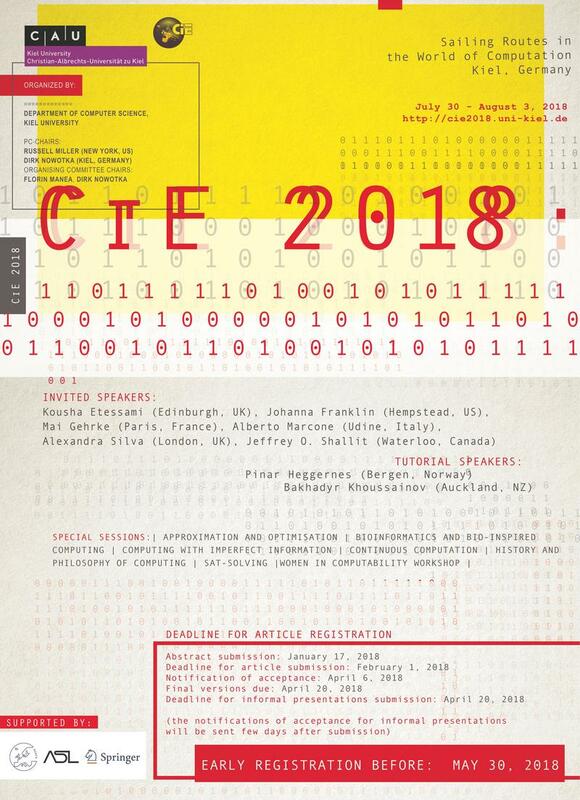 According to the rules of organising a CiE conference invited and tutorial speakers, speakers at special sessions, Steering Committee members, the PC chairs, special session organizers, and local organizers do not have to pay the registration fee. If you fall in one of these categories, please send us the registration data by e-mail (First Name, Last Name, Affiliation, and any other special requests you may have, e.g., whether you would like a vegan/vegetarian dinner). These data should be sent at cie2018@email.uni-kiel.de. Please note that if you want to take part to the conference dinner and excursion, this should be booked separately via the registration link. If you are not one of the aforementioned persons, please register at this link. Special requests, like, e.g., whether you would like a vegan/vegetarian dinner should be send by e-mail at cie2018@email.uni-kiel.de. For questions please contact the organisers at the e-mail address cie2018@email.uni-kiel.de.